It's a turbulent summer for Sirena Shane. Back in Texas, her family's splitting apart, but at her aunt's beach cottage in Rhode Island, everything is different. Especially with him around. Pilot. 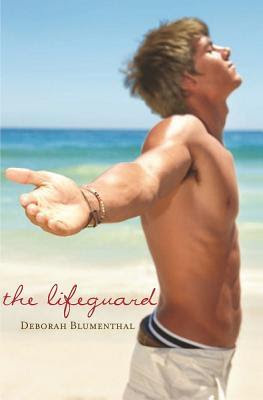 He's the lifeguard with extraordinary looks and mystical powers, who's unlike any boy she's ever known. He's the one who both saves her and makes her feel lost at sea. So begins an unforgettable summer of obsession and discovery. This book was interesting. It kept my attention. The author's writing style was catchy. But mostly I wanted to finish it because I was so disconcerted, and not in a good way. The romance was fun. But there's a paranormal aspect here that is badly fleshed out and to be honest, completely extraneous to the plot. The heroine's journey in this book is completely internal and non-paranormal, so there's really not a reason for that aspect of the book to be included and it comes off like an after-thought. Overall, a fun read, but confusing and fatally flawed.